This 1997 book presents in readable, non-technical language the findings of scholarship on one important aspect of 'who Jesus was' - the many reports in the New Testament and other early Christian writings that Jesus performed healings. The book paints a picture of the sick and sickness in Jesus' world and the means available to deal with sickness. 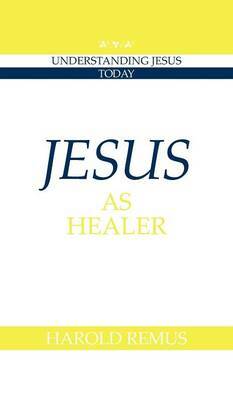 It shows how Jesus as healer fits - and doesn't fit - into that world. We see him as one of the many healers of his day, but set apart as a 'wounded healer' who in his own death achieves the ultimate 'healing', victory over death. In addressing the question 'did Jesus really heal?' the author provides readers with resources from biblical scholarship, medicine, sociology and anthropology to help arrive at their own answers to the question. The suggestions for further reading as well as the questions for discussion make this book ideal both for personal reading and for group study.